The increasing demand for bandwidth due to streaming video, content sharing, social media applications and online gaming is constantly pushing the requirement for higher bit rates and better experiences. The ultimate response from operators, governments, and utilities is to deploy fiber to the home (FTTH), using GPON technology, which provides ultra-broadband access for home, office and SOHO users, ensuring excellent experience with VoIP, Internet and HD video services. HFCL offers state-of-the-art GPON system which enables fast, reliable, secure and future proof multi services access network, suitable for high bandwidth applications such as video conferencing, remote education, tele-medicine etc. The system complies with the latest International ITU-T G.984 standards and works in harsh environmental conditions. The product family includes high capacity chassis OLT (Optical Line Terminal) and small capacity 1U OLT with wide range of ONT (Optical Network Termination) units, to suit different network deployment scenarios and user requirements of interfaces. The Chassis OLT is an integrated unit that support over 12,000 users and is suitable for centralized network deployment. 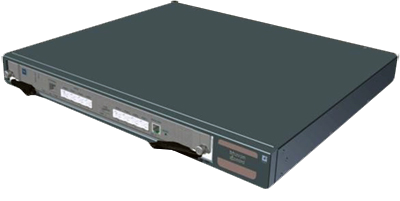 It is designed for carrier-class reliability, with redundancy for uplink cards, switch matrix and power unit. The unit has 96 PON ports with has features like – Dynamic Bandwidth allocation, Forward error correction, AES Encryption, Broadcast and Multicast control, PON Protection, PON side ring protection , IGMP snooping and feature rich EMS for monitoring, provisioning and control. Mini OLT comes in a compact portable table-top size and 19” rack mountable configuration that provides significant reduction in capex as compared to the traditional chassis-mounted OLT, providing same features as available in the chassis based systems. HFCL FTTH solution drives down deployment and operations costs with advanced management and troubleshooting tools to streamline the operations. Optical Network Terminals (ONTs) are designed to deliver superior triple play services with high bandwidth capacity to the end users. With over 10 ONT variants and user desired port combination. Specialized ONTs, meeting synchronization requirements of 4G network’s backhaul applications, are also available. The saving in power consumption is provided with use of highly integrated system on chipset (SOC) solution where single chip integrates multiple functions and port applications.